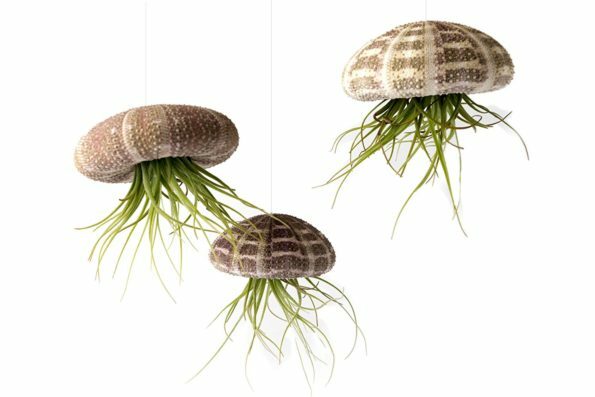 Try out this unique decorating idea which displays 3 Air Plants Oxacana set in 3 Alphones Sea Urchins that are suspended by clear line. Each of the jellyfish are of 4 X 4 inches tall and wide. The most important part of the jellyfish is that they can be hung anywhere. This Air Plants (Tillandsia) are epiphytes, which attach to other plants or trees for support. Air Plants prefer filtered sunlight as their natural home and their care is pretty simple.